The clock was ticking on my time along Mexico's Riviera Maya. After my day trip to Cozumel, I headed south to Tulum for a night. While it's only an hour south of Playa del Carmen by bus, there was too much to see and do down there for me to squeeze it into a single day. 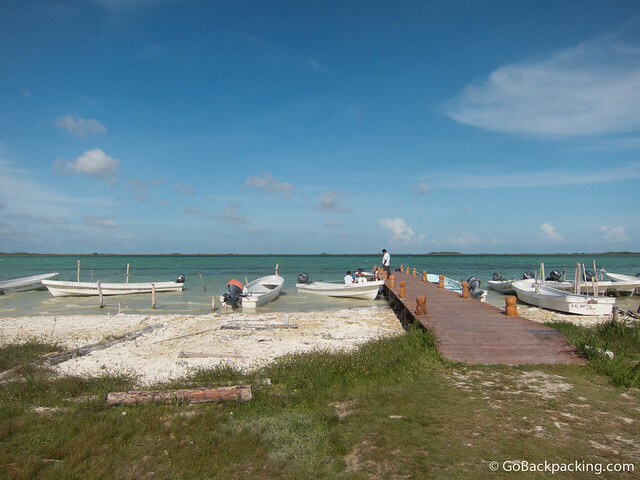 Upon arriving, and checking into the cheapest bungalow I could find ($32/night), I hopped a local bus thirty minutes further south to the entrance of Sian Ka'an Biosphere Reserve. It was little more than a gravel road leading off the highway. 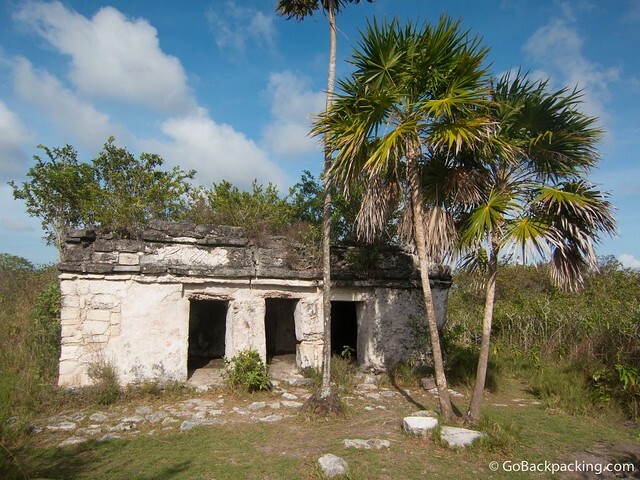 Sian Ka'an was to be the last of the 12 UNESCO World Heritage Sites I'd visit during my five-week journey across Mexico. In the language of the Mayan peoples who once inhabited this region, Sian Ka'an means ‘Origin of the Sky'. 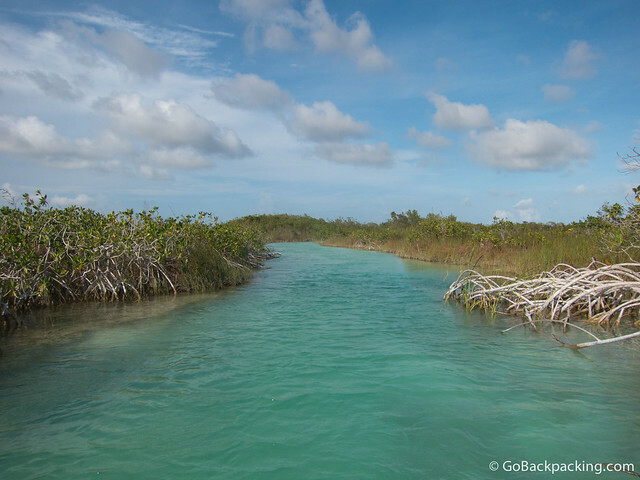 Located on the east coast of the Yucatán peninsula, this biosphere reserve contains tropical forests, mangroves and marshes, as well as a large marine section intersected by a barrier reef. It provides a habitat for a remarkably rich flora and a fauna comprising more than 300 species of birds, as well as a large number of the region's characteristic terrestrial vertebrates, which cohabit in the diverse environment formed by its complex hydrological system. There wasn't a lot of time. The sun was already heading toward the western horizon, and I was committed to seeing the reserve before heading back to Tulum for the night. From the highway, it was a ten minute walk to the little pier where boatmen hang out, waiting to give rides to tourists like me. I negotiated a one hour boat ride for $48. I don't know if that's a good deal or not, but I was by myself, and didn't have any other options. We took off across the lagoon. My eyes were wide open with excitement. 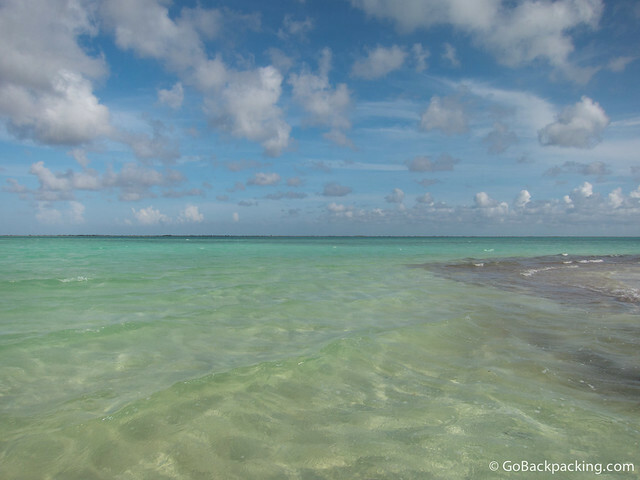 The protected reserve is massive, encompassing 120 kilometers of coastline, and 5,280 square kilometers. If it was all as beautiful as what we were seeing on the boat ride, it deserves its protected status. Once we reached the opposite end of the first lagoon, we entered a shallow channel bordered by tall grasses. Navigating through these waters was a delicate task with such a big motorized boat, yet it still reminded me of the human-powered mokoro rides in Botswana's Okavango Delta. Along the way, we passed mangrove trees. The water was so clear I could see fish swimming around. The reserve is also home to the West Indian Manatee. Upon emerging from the narrow canal, we entered another lagoon, even more beautiful than the first. A few local men were taking a swim from their boat near the coast, but otherwise, it felt like I had the whole reserve to myself. There wasn't another tourist in site. If I'd arrived earlier in the day, there would've been group tours, but my decision to squeeze in a late, independent trip had paid off. In exchange for being a little rushed to get there, once we were on the boat, time slowed down, and I allowed myself to breathe the fresh air, and enjoy the scenery. 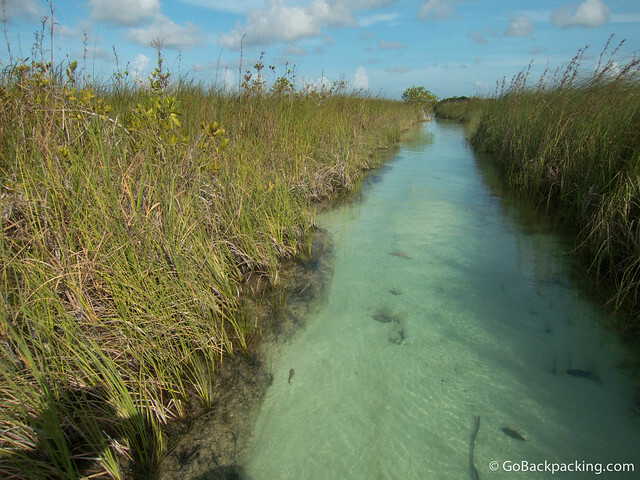 Further away from these waters, the tropical forests of Sian Ka'an are home to some big cats, including the jaguar, puma, and ocelot. With all the attention on the natural beauty, one might forget the Mayans once lived here too. The climax of the boat ride was a stop at a small Mayan temple, one of 23 Mayan sites in the reserve. I got out of the boat at a little pier, and took a quick walk around the temple. Engravings could still be clearly seen on the building. My time limited, I returned to the boat, and we wasted no time getting back to the main pier just before the reserve closed. 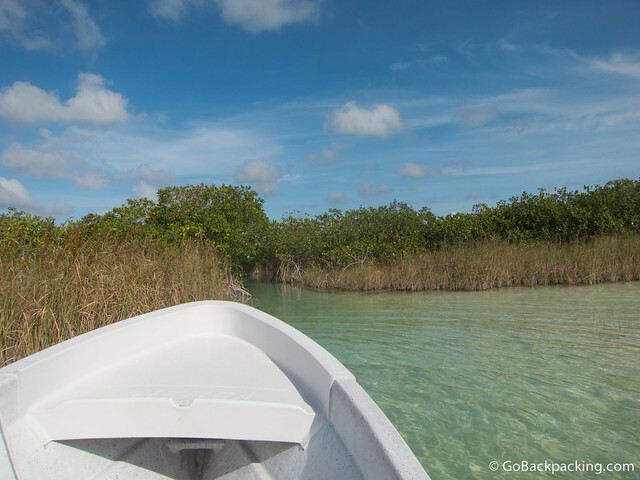 Whether you go solo, or feel more comfortable taking an organized group tour, I highly recommend allowing yourself the time to spend a few hours in the Sian Ka'an Biosphere Reserve. Sian Ka'an became a World Heritage Site in 1987.
mayan temple and canal water looks so natural and gives me feeling of native village, nice post david and nice pics. Was in Tulum just a few weeks ago but missed out on Sian Ka’an. Didn’t do my research and just stayed on the beach (doh!). Seems like it’s a nice relaxing trip away from the tourist crowds. Hard to blame you, the beaches in Tulum are beautiful and the comparatively high cost of lodging keeps the crowds from Cancun and Playa del Carmen at bay.